Early candles were a source of light. The origin of candle making can be difficult to know for sure, because candles have been used for centuries, buy many different civilizations. Candle making was born as a result of the need for a portable light source, but was likely discovered purely by accident. There is evidence of candles and candle making throughout the world, and it seems that many civilizations developed their own methods of making candles, independently of each other. Some of the earliest evidence of candles dates back to 3,000 B.C., where artifacts suggest that the early Egyptians were using beeswax for their candles. There is some proof that the Greeks were also making candles around this time period. It is very likely, however, that candles were originally conceived when primitive man discovered that the dripping fat from the animals they cooked would cause their fires to blaze up. This animal fat, known as tallow when rendered for candle making, could be used to coat torches to make them burn longer. Historians and scientists are constantly making new discoveries, and with each new excavation of a historical site, information is being gathered about every aspect of people who came before us. Still, there is indisputable evidence from many countries that shows the existence of candles, and determining the materials they were made from has become much easier. Thousands of years ago, the Chinese and Japanese were making primitive candles from fat, rendered from burning insects and seeds. The mausoleum of Emperor Qin Shi Huang, who ruled China from 221-206 B.C., contains candles made from whale fat. Candle holders from this period have also been discovered. Some of them contain a small rod on which a candle could be impaled, while others resemble bowls with a pocket in the bottom, and these contain wax residue. Early Chinese writings also refer to beeswax being used in candle making. In India, candles were mostly used for worship. These candles were made from boiling cinnamon. 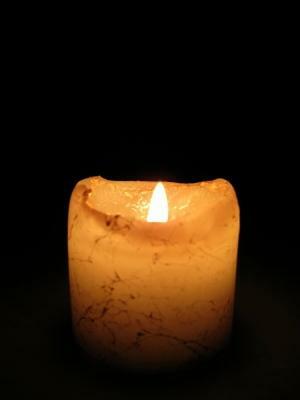 The remains of early Roman civilizations have uncovered the first use of what we now consider a wick in candle making. These wicks were made from reeds or the core of rushes, which were then dipped in tallow. The Romans used candles in their churches, homes, and as portable light for traveling. The famous uncovering of the town of Pompeii, which was frozen in time after being buried by an eruption from the volcano Mount Vesuvius, has unearthed more evidence of candles in Italy. Oily fish such as smelt, was widely available on the west coast of North America. Indigenous people of this area simply mounted the fish on a stick, and lit the tip of the fish to make primitive candles. In Tibet, the fat from yaks was used to make candles. In the southwestern United States, early settlers boiled tree bark to extract a substance that could be formed into a candle. Today, hard and safe waxes are available to candle makers, in addition to hundreds of scents, colors, additives, and other candle making supplies. The candle making techniques enjoyed by modern candle makers are much different from the primitive and necessary methods used by early civilizations.